Tourette syndrome is a neurological disorder that begins in childhood. This disorder is characterized by repetitive movements or unwanted sounds that can't be controlled (tics). For example, a person may repeatedly blink his eyes or jerk his head. Tics often start at about the age 2 and can continue into adulthood but are less severe than in childhood. 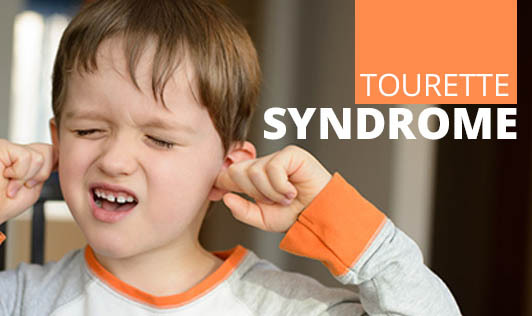 Tics are sudden, brief movements or sounds and are the hallmark sign of Tourette syndrome. Severe symptoms interfere with one's communication, daily functioning as well as quality of life. If youre child displays involuntary movements or sounds, contact your paediatrician because not all tics indicate Tourette syndrome!